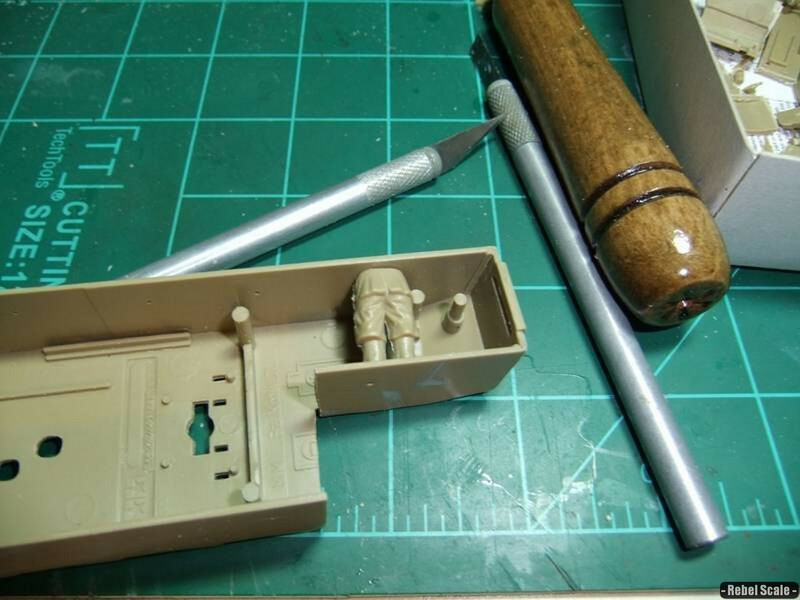 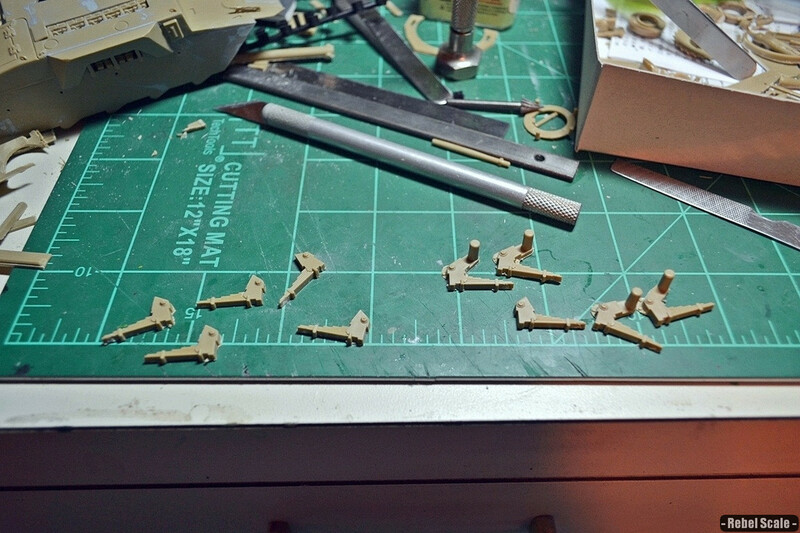 Cut off all of the molded on details. 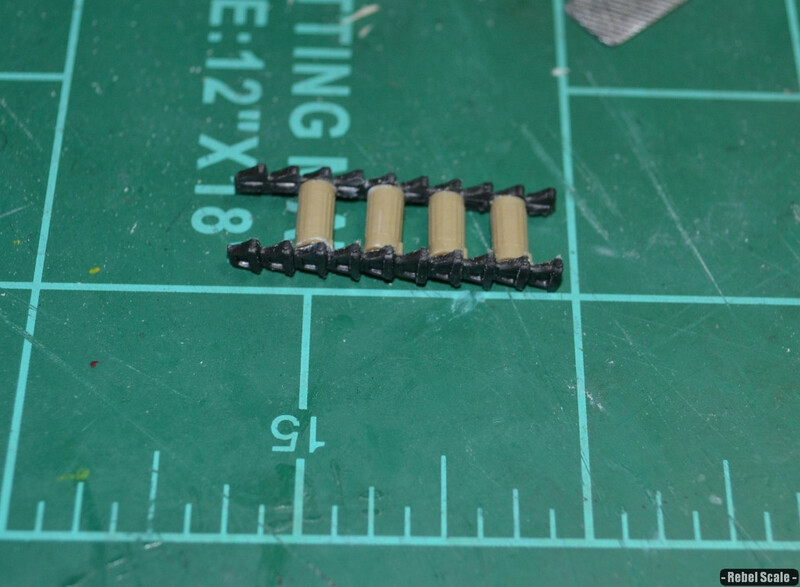 The engines were made from the idlers with a sprue in the middle. 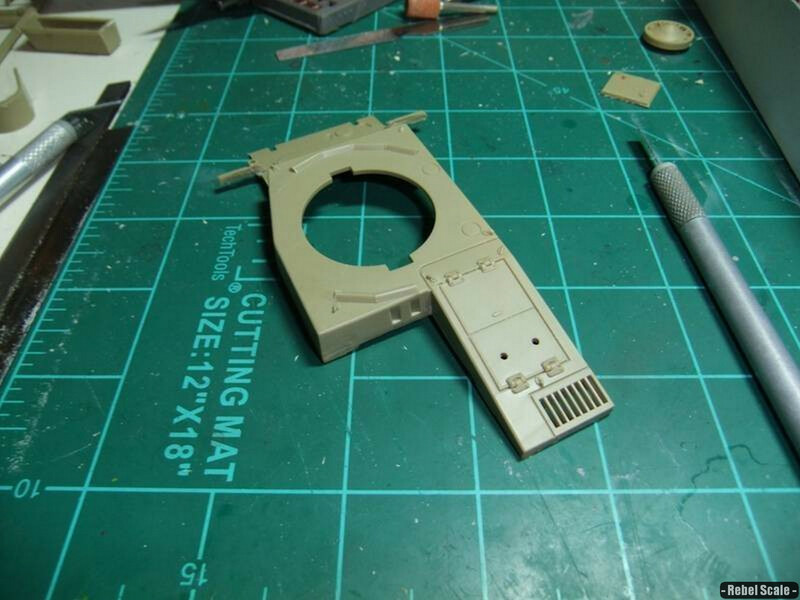 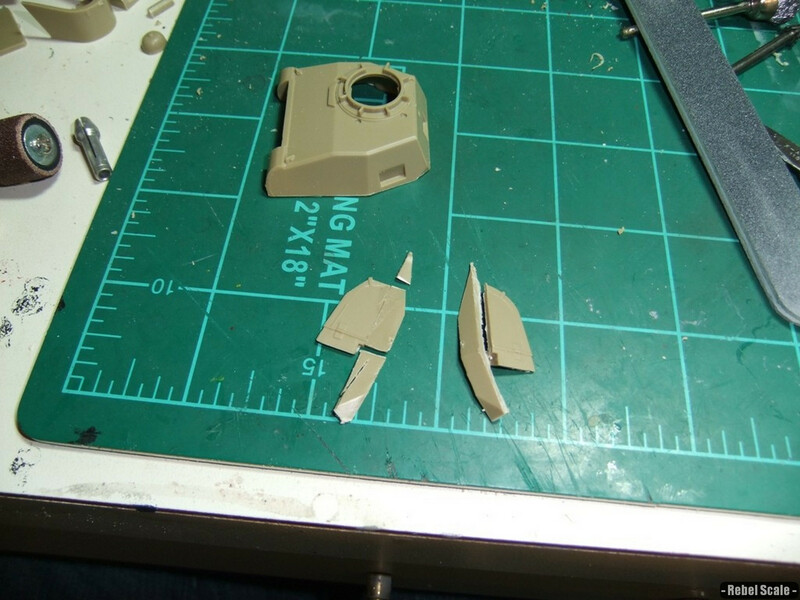 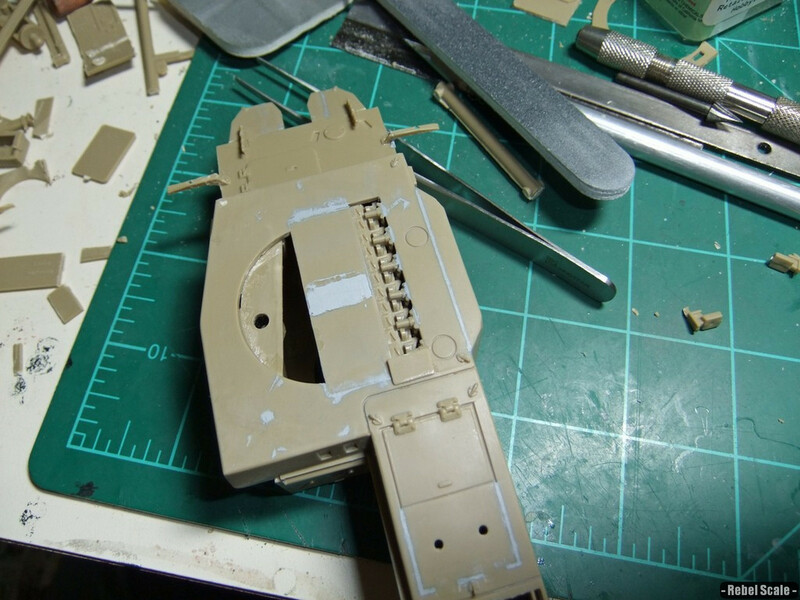 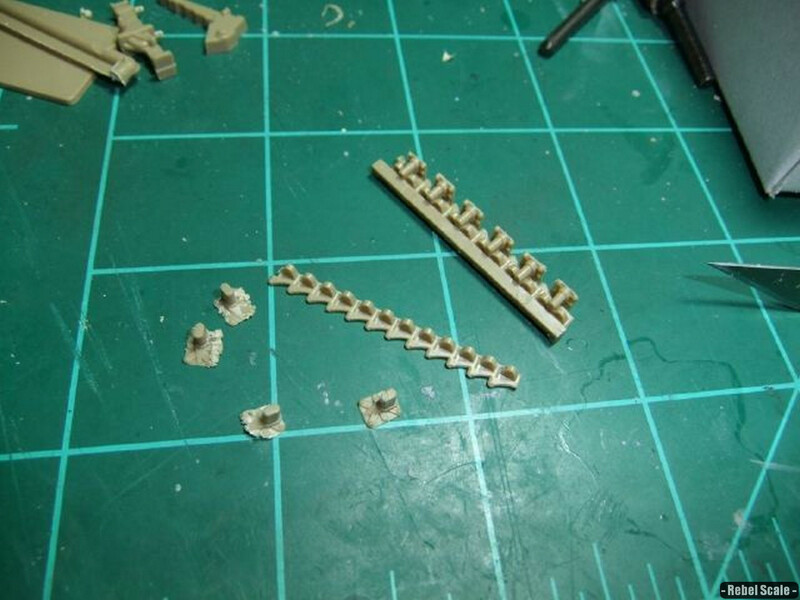 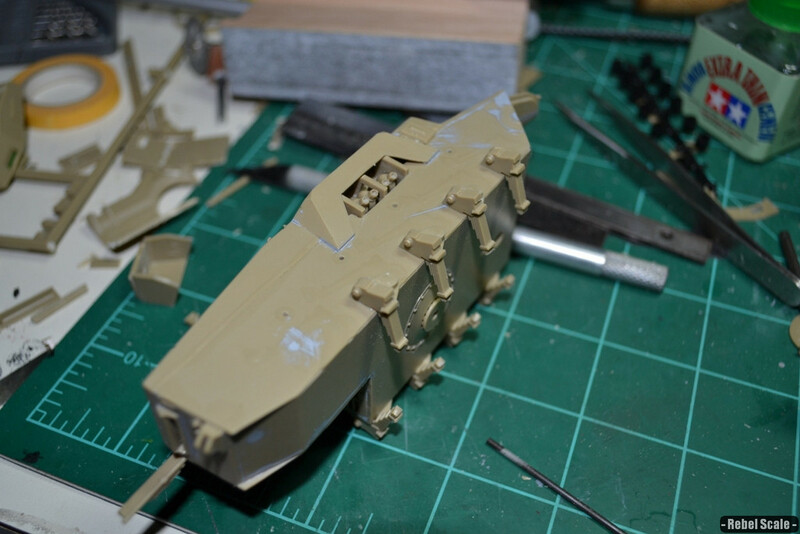 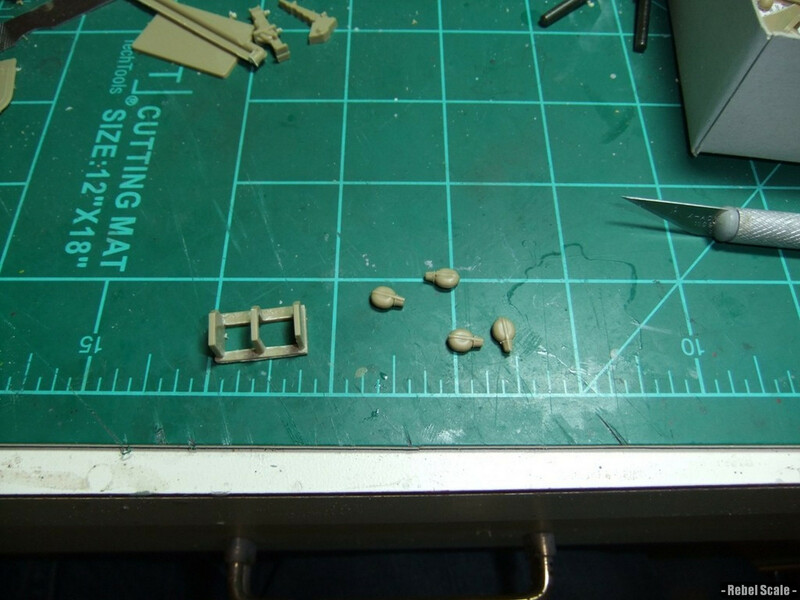 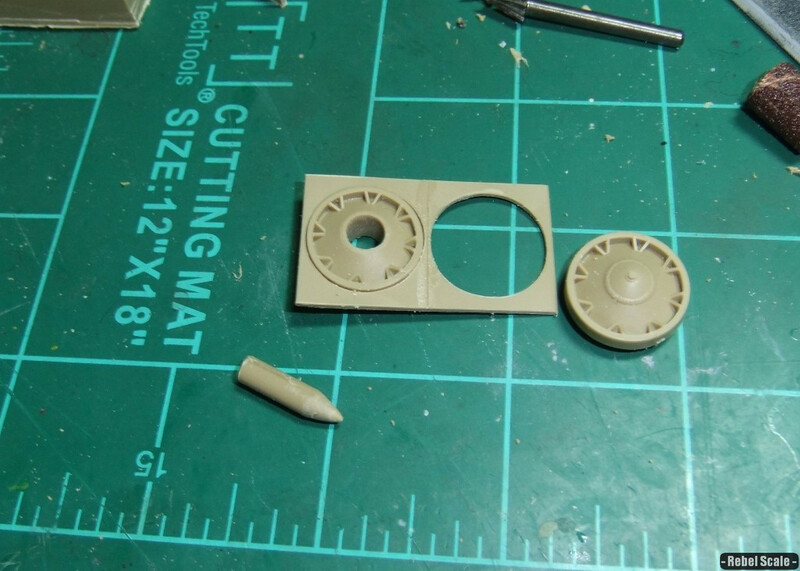 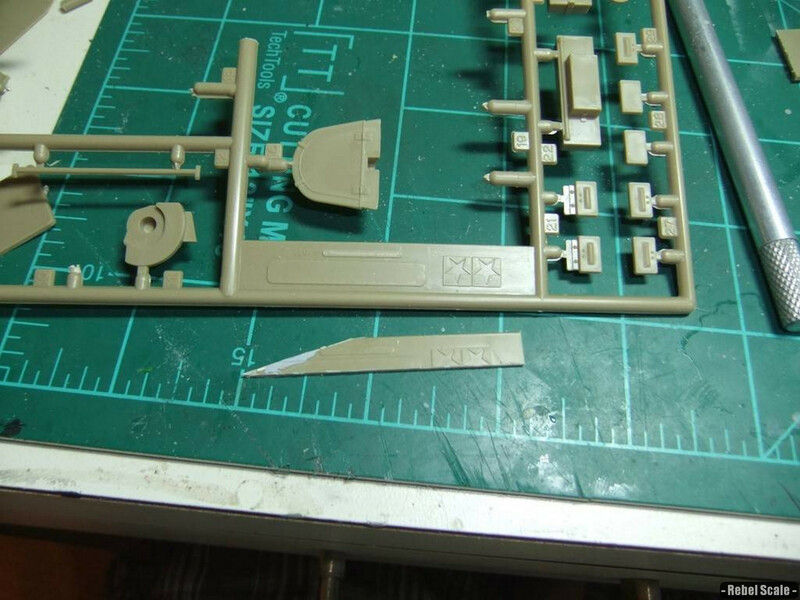 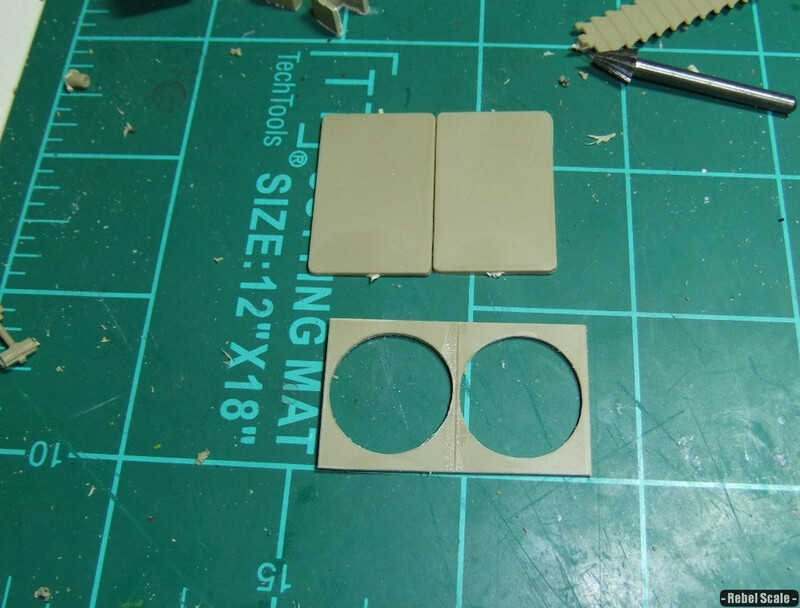 The sprue was sanded down to a point to look like engines. 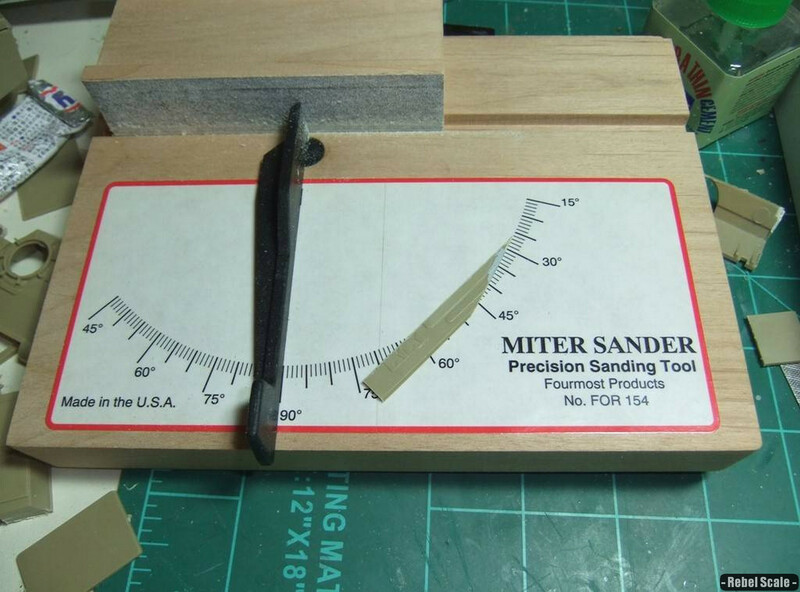 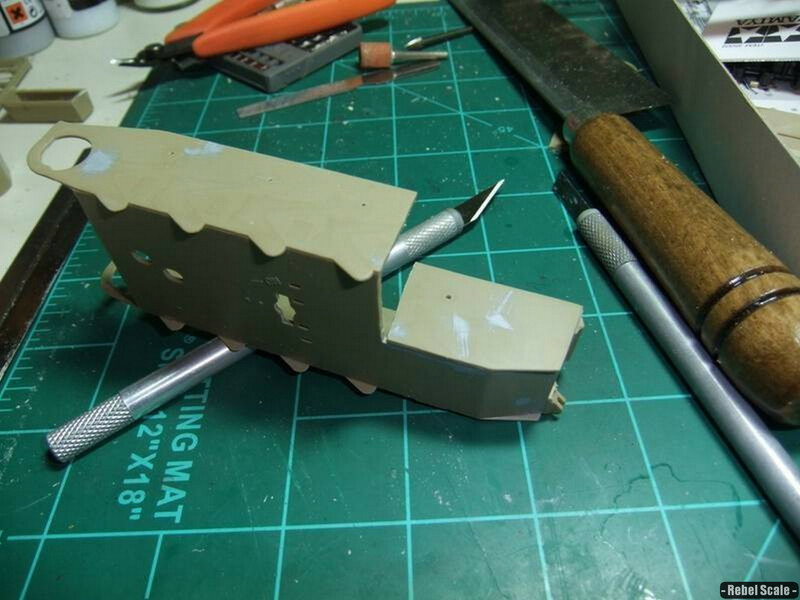 Air brakes were created from parts from the kit. 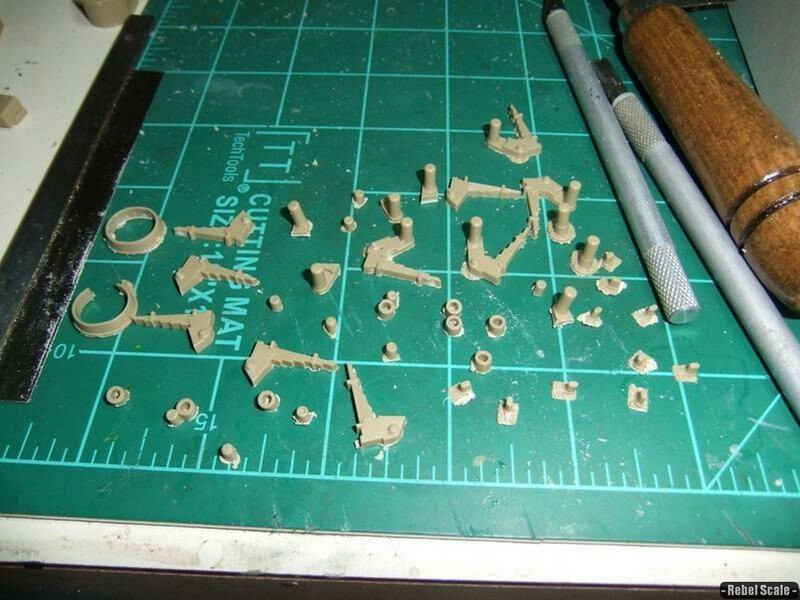 These were glued together and putty-filled. 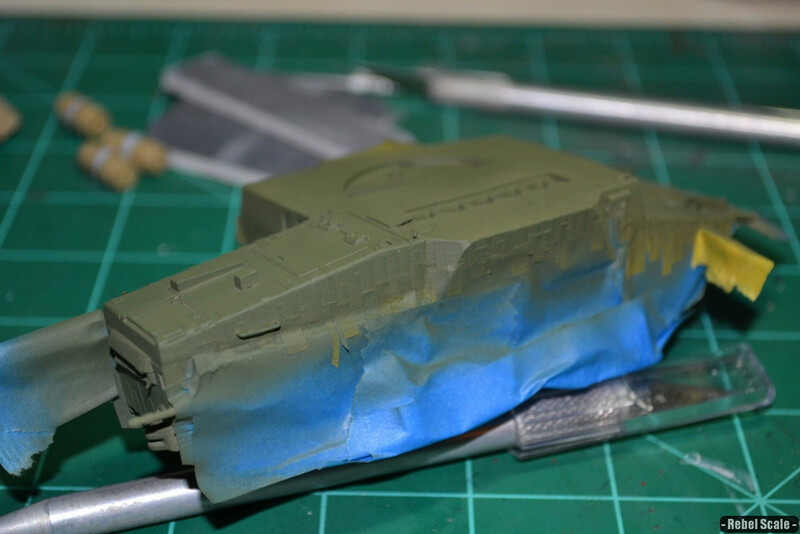 Once the windows were masked off, I was ready to paint it. 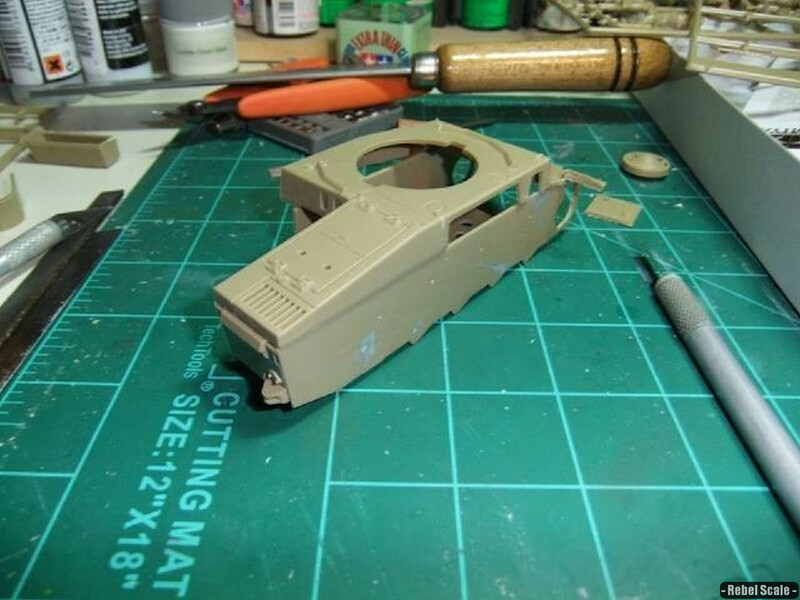 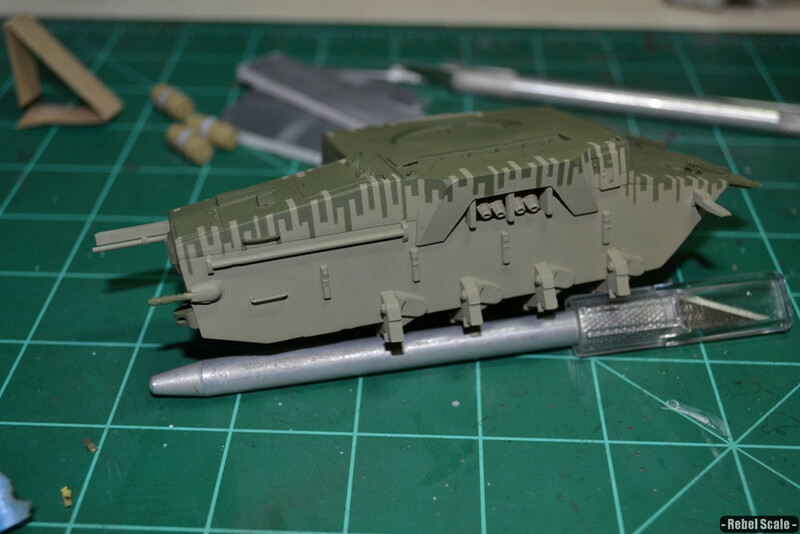 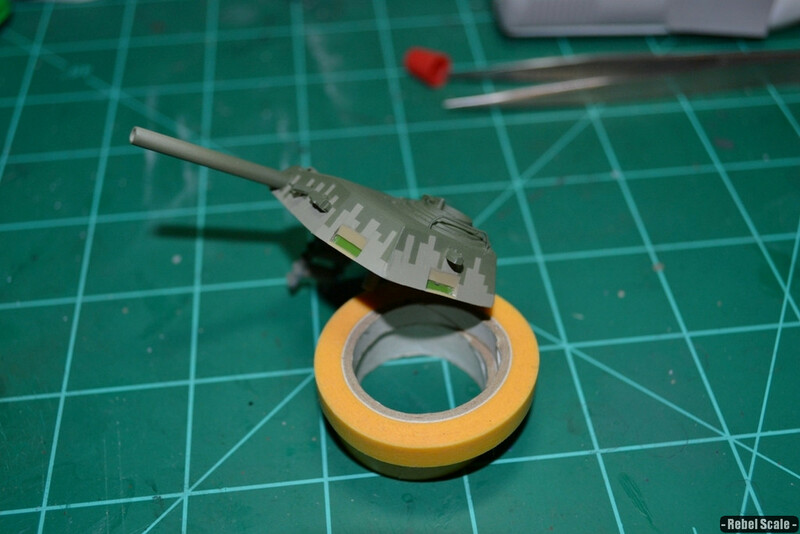 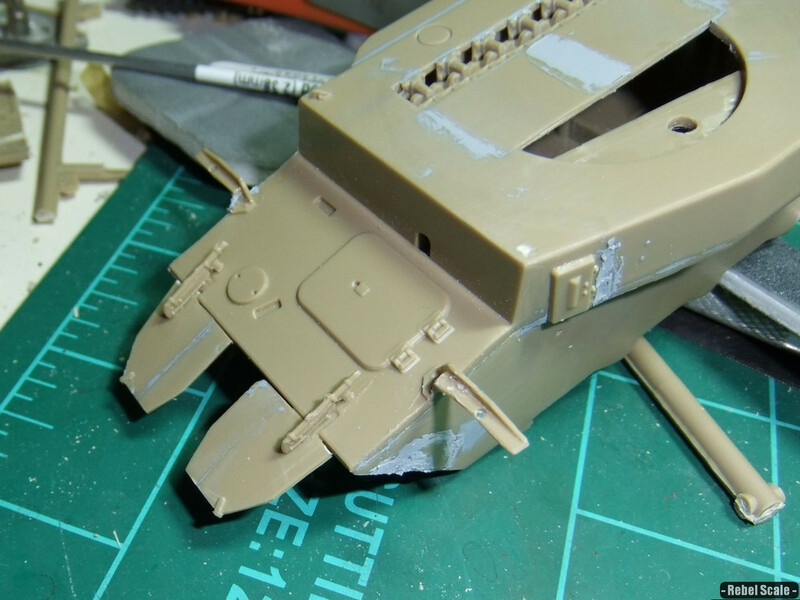 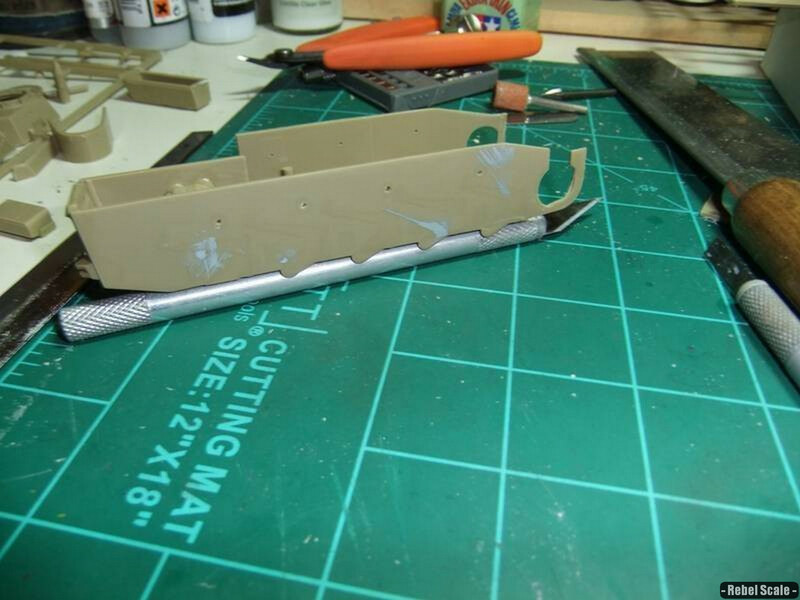 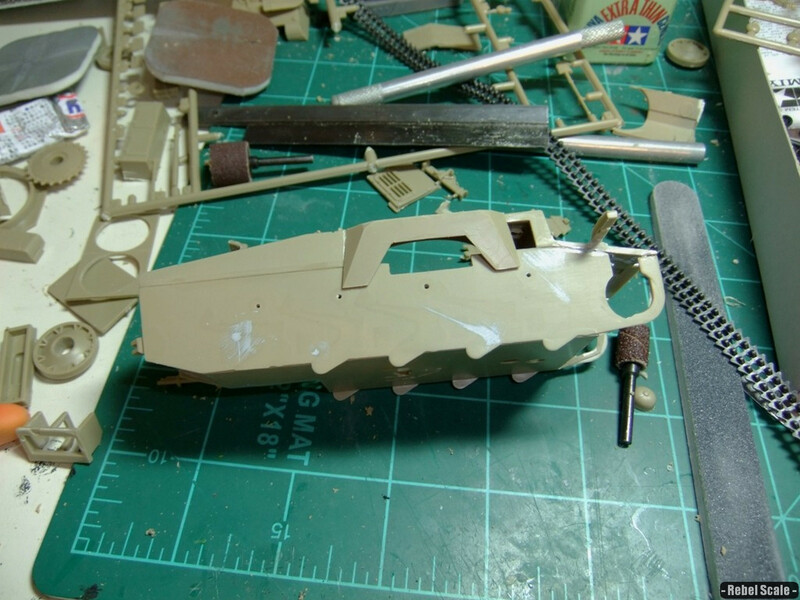 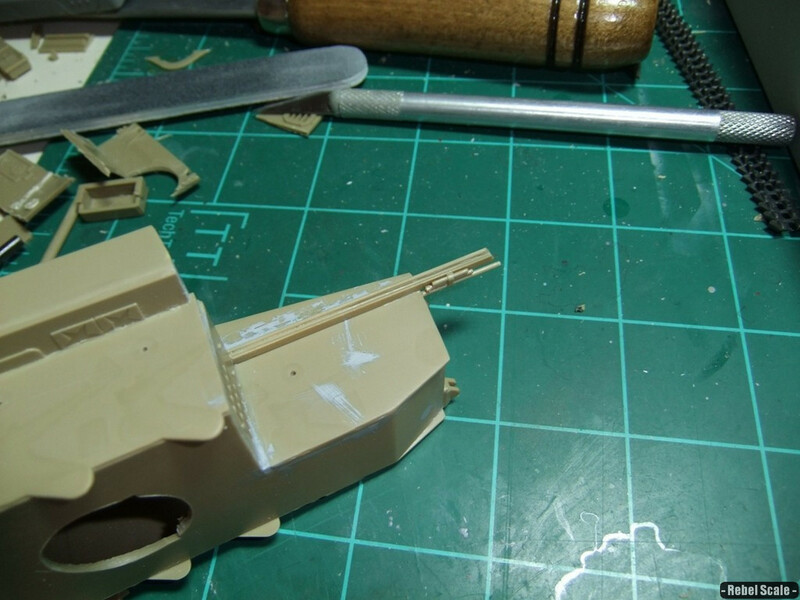 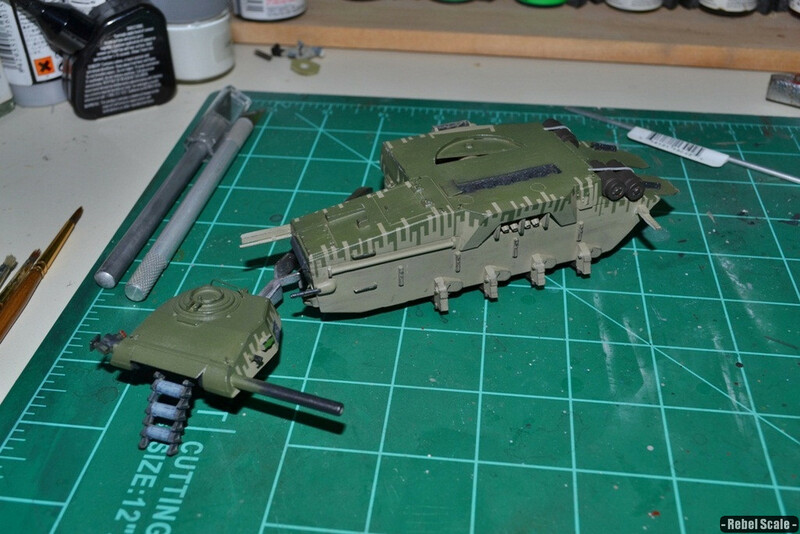 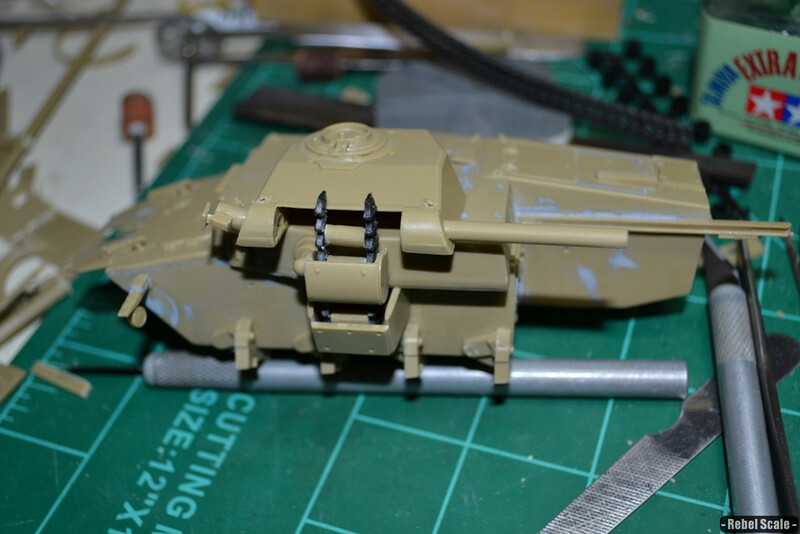 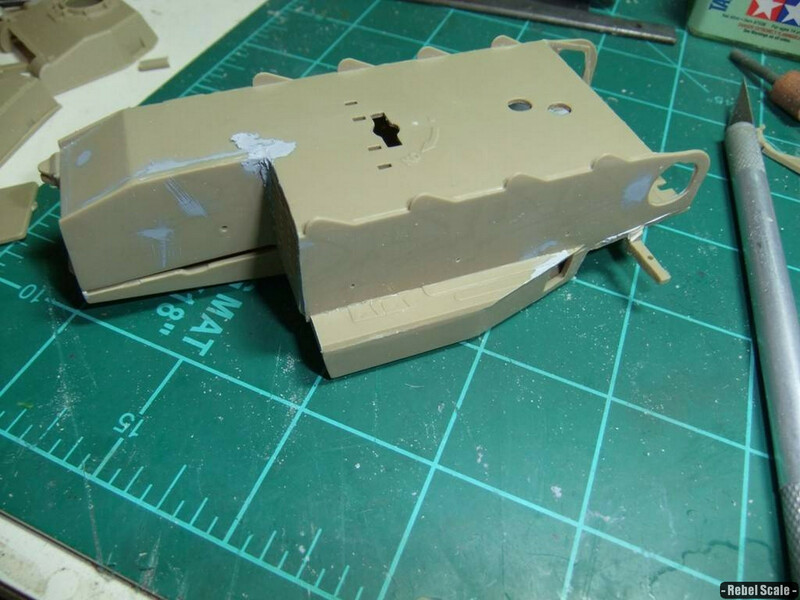 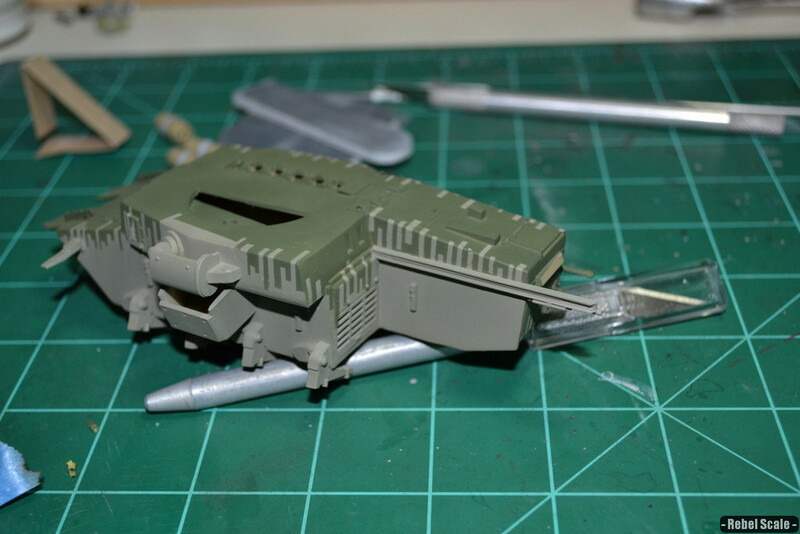 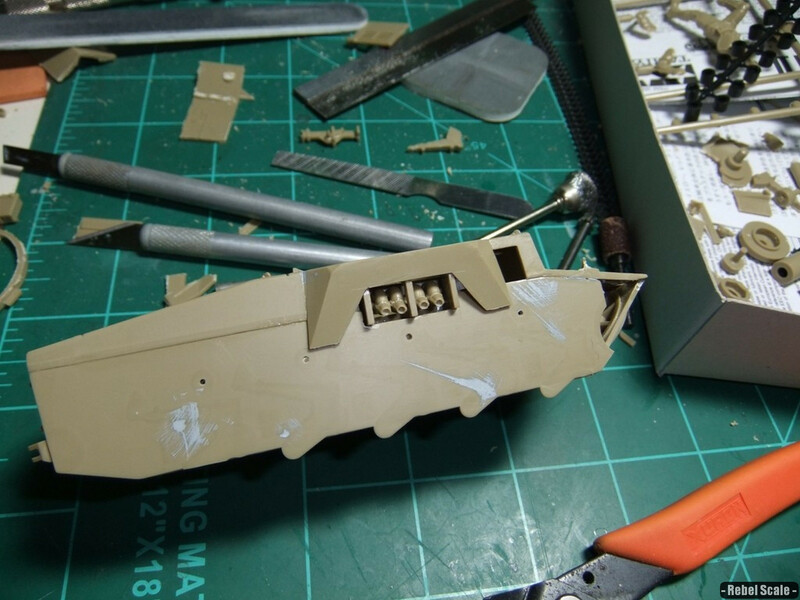 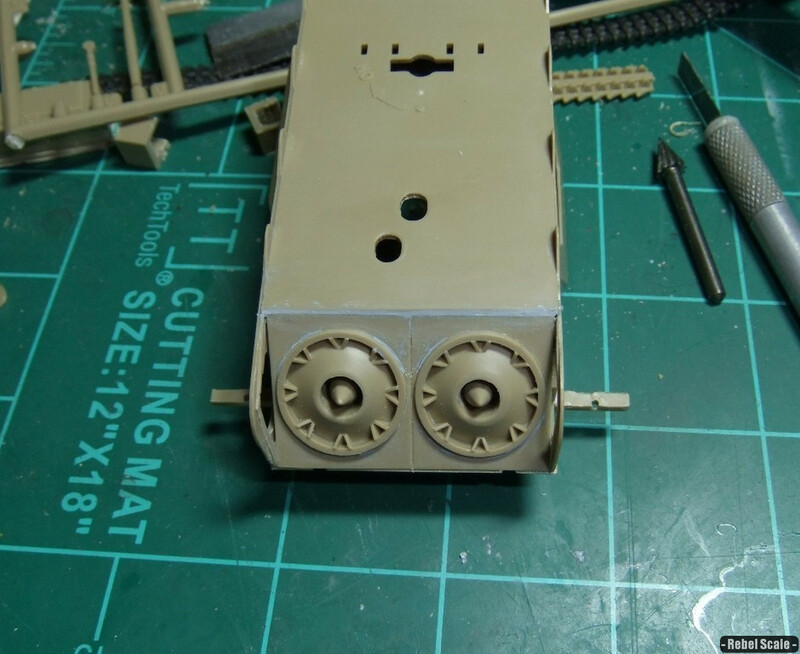 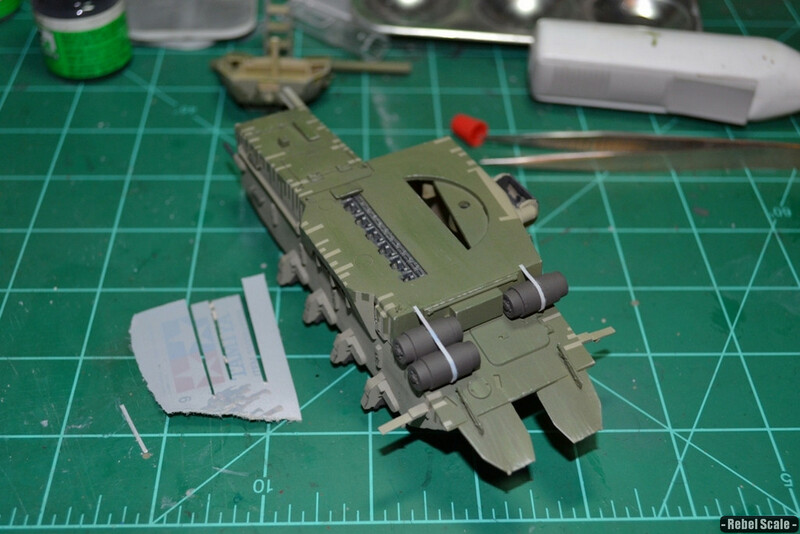 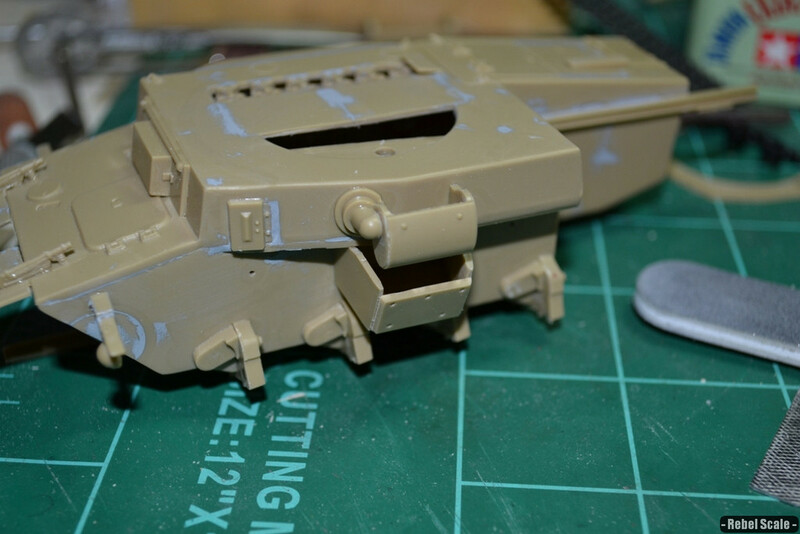 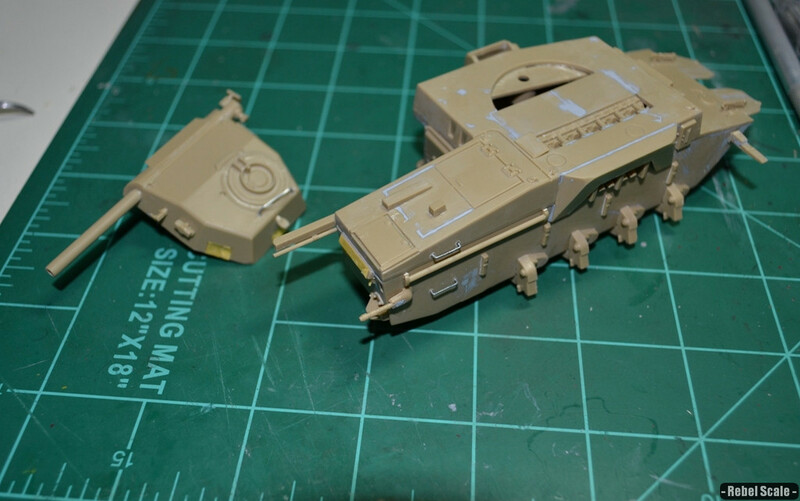 Initially I sprayed it a grey/tan color, then I masked thin vertical lines around the upper hull/turret. 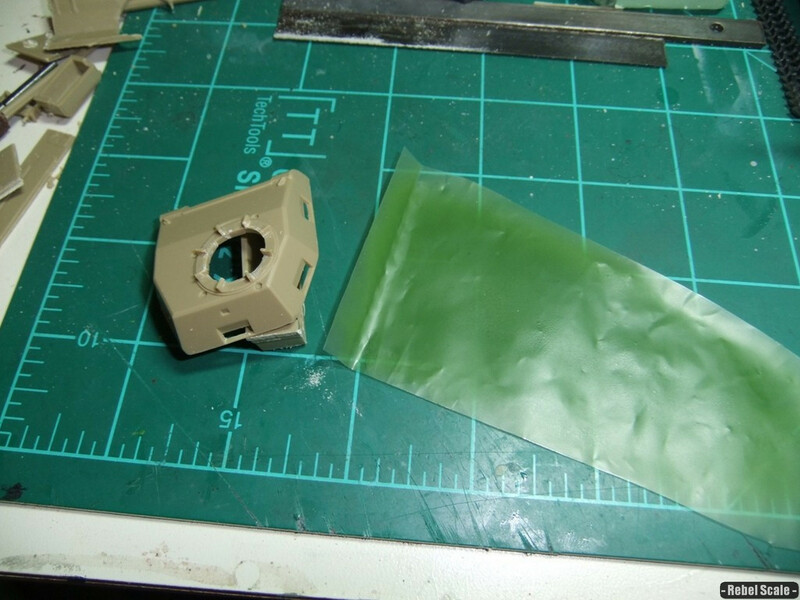 After spraying a dark green color, I removed the masks. 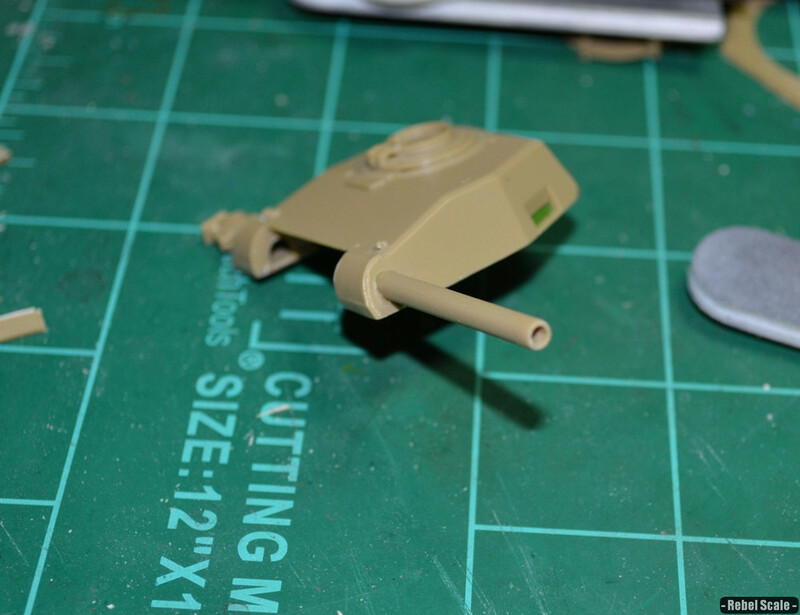 You can see the neat camo pattern. 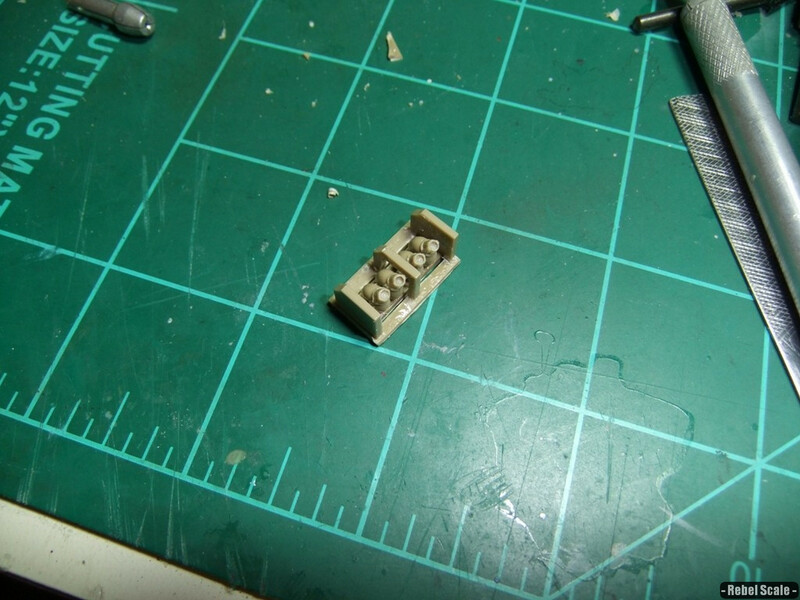 I made fuel drums from return rollers and paper from the box. 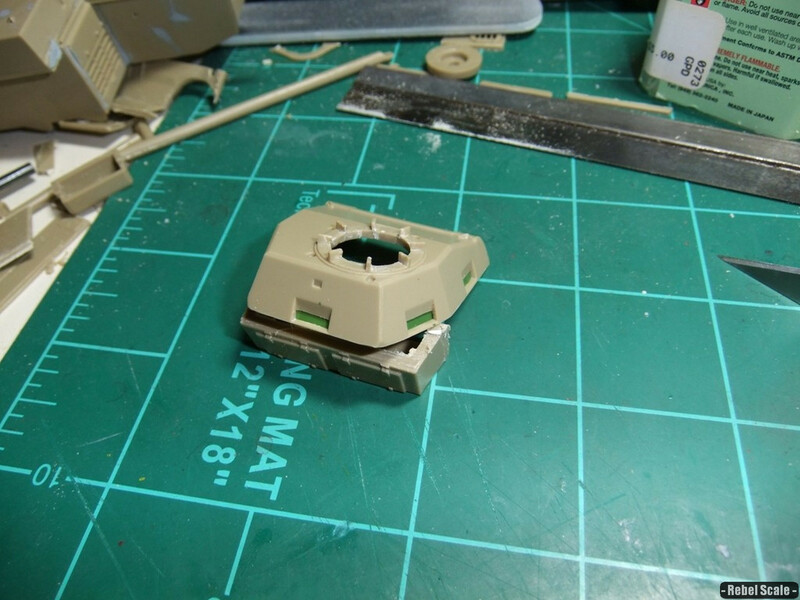 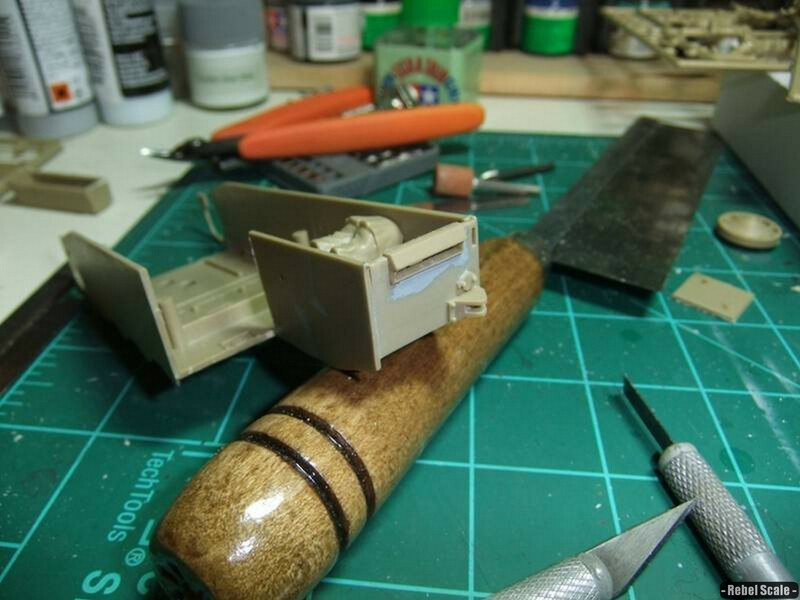 The handholds on the cockpit side and turret are from staples in the box.